How sad it is that this invisible dis-ease that affects primarily women (although many more men and children are reported to be experiencing FMS than before) has led to so much continued confusion about causation. 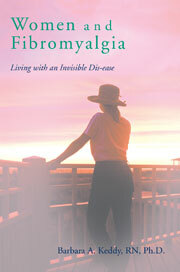 The theories about the cause of fibromyalgia have preoccupied researchers for the past several decades, partcularly as the numbers of reported cases have risen dramatically. This entry was posted in alkalyzing and balancing theory, arthritis, auto immune disease, ayurvedic, bacteria, bio-identical hormone replacement therapy, biophysical semeiotics, candidiasis, chaos, confusion re cause, elaine aron, endocrinology, Fibromyalgia, FMS/CFS and viruses, hypermobility theory, hypothalamitis, lupus, menopause, multiple sclerosis, neurological disorder, parasites, SIBO, societal cause, thyroid disease, thyroid gland on May 15, 2008 by Barbara Keddy.